When asked what they’d like to do most career-wise, many young women and men whose families have moved to Israel from Ethiopia express a strong desire to become hospital nurses. Hadassah, with a bequest from a major donor, is helping to make this career choice a reality. The challenge for Ethiopians is to meet the university entrance requirement of a high score on Israel’s psychometric exams. Because of cultural factors, Ethiopian youngsters rarely score high enough. This barrier is being removed, thanks to a joint effort by Hadassah in America and an organization called Jobkatif. With a mission of helping disadvantaged people in Israel gain employment, the organization approached Hadassah and the Hadassah-Hebrew University Henrietta Szold School of Nursing with the idea of creating a program that would mentor these young men and women and shore up their academic skills with a college preparatory course. Through the generosity of a bequest earmarked for nursing scholarships from Patricia Lapan, a nurse and businesswoman from Arizona and California, Hadassah is providing financial assistance for tuition, housing, and educational supplies, such as books and computers. Jobkatif professionals will mentor the students and help them with any obstacles they encounter. The first cohort of 18 students, chosen from 60 applicants, has just begun the program, entitled Achotenu (Hebrew for “our sister”). 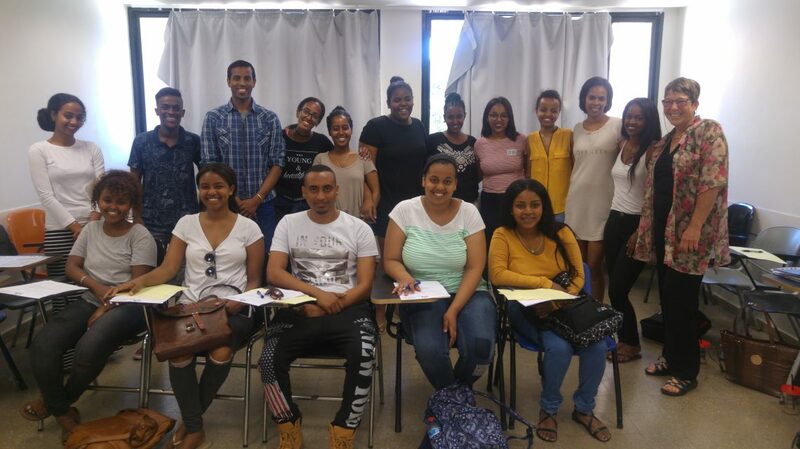 A mix of Ethiopian-born and Israeli-born students from Ethiopian families, all are the first in their families to go to college. (Many of their parents didn’t go to school at all in Ethiopia.) The students will participate in an intensive summer course covering English, chemistry, and mathematics and receive help in adjusting to university life. Those who succeed in the summer course will proceed to the Hebrew University’s pre-academic program, followed by entry into the School of Nursing, where they will earn a bachelor’s degree in nursing. Hadassah has long been a pioneer in nursing education. It was in 1918 that Hadassah established the first post-high school educational institution for young women in pre-state Israel–a nursing school. Four hundred women applied for the first 50 places. Founder of Hadassah Henrietta Szold moved there to help run it. Today it bears her name.